"Veteran artist Mark May is an amazing guitar player and vocalist. [Blues Heaven] is a very tasty blues album chock full of great original songs, blistering guitar work, and an excellent section band featuring an outstanding horn section; The Soul Satyr Horns." "Blues Heaven is a seriously fine piece of work, and you’d be doing yourself a huge favor by picking up a copy." 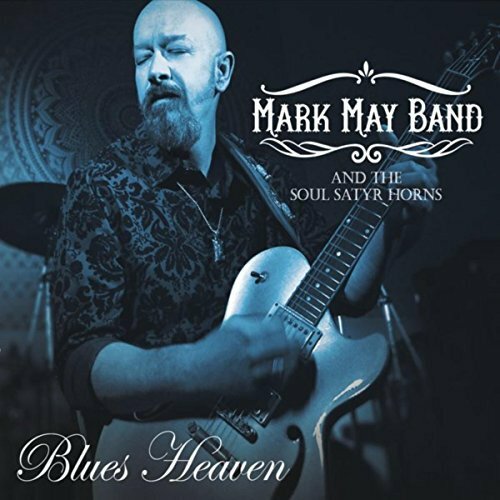 "For those who die for horn-based blues rock, the Mark May Band’s latest is Blues Heaven!" "[Blues Heaven] is definitely his best yet with lots of exciting guitar, solid vocals and the bonus of a three man horn section... This is a well-filled album that clocks in at 78 minutes and presents a great value for anyone who enjoys guitar playing set at the service of the songs. " Join the Mark May Band at the Big Easy on Friday, 1/18 for their Int. Blues Challenge Send Off!